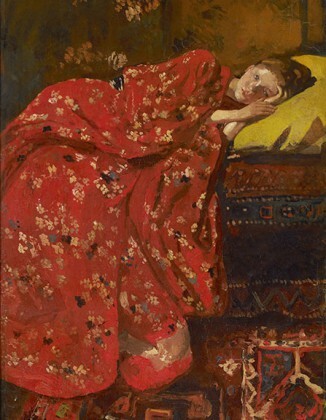 "Breitner - Girl in Kimono » at the Riksmuseum, Amsterdam. Countless versions of a girl in a kimono, a symbol of Japanese art, emerged in the work of George Hendrik Breitner between 1893 and 1896. The young model woman who posed for almost all painting have thus been immortalized. Based on new research, the exhibition presents for the first time the complete series as well as an unknown fabric, from a private collection. Besides the paintings, drawings, sketches and photographs used by the artist for the preparation of his work are also presented.